WHY SHOULD I PAY FOR CONTACTING OTHER MEMBERS? - You do not pay for communication. You pay for service, for the system. It is not seen how much finances are spent regularly to invite new members so that the site stay fresh and updated. And how much work daily (manually checking new profiles, updated profiles, answering the questions, optimizing and approving photos, deleting scammers etc etc) has to be done so that the website functions well. - Yes. And the new members who immediately uploaded their photo (at the time of registration or within 1-2 days) automatically appear on the HOMEPAGE. Moreover, we will regularly (at least 2-4 times per month) personally email you information about new profiles with links. We are running adverts in Russian internet in search engines such as yandex, rambler and other relevant sites, sending personal invitations and, obviously, run our adverts in google. - Yes, there are quite a number of successful stories from our site in different places of the world. - To get better responses we will provide you with special tips on HOW to address a lady, what kind of photos to put on the website, etc. You will be surprised to learn some of these tips. 3. ARE THERE RUSSIAN- SPEAKING LADIES WILLING TO RELOCATE TO OTHER COUNTRIES SUCH AS (FOR EXAMPLE, INDIA, BAHRAIN, SOUTH AFRICA) AND SETTLE DOWN? - There are people who don’t know much about Asian countries, Gulf or South Africa. But after explaining them and showing them photos, articles etc. – most of them changed their mind. Obviously not all, but if a lady is prepared to relocate anywhere from her country, then usually she would be interested in (for example, South Africa) after getting a better picture of this country. That’s why we decided that it is NECESSARY to publish all relevant information (not only in our site, but in Russian internet in general). 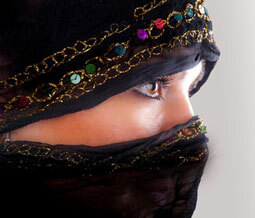 Russian ladies who embraced Islam are looking for good Muslim husband, with Imaan. And actually they are more interested in foreign man especially of Arabic/Indian origin. 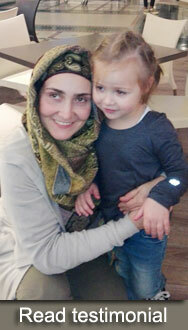 This is an answer to your question if you consider to find Russian girl who embraced Islam or ethnicRussian Muslim. If you are talking about Russian non-Muslim ladies, it might be different, indeed. - All sites are different. I suppose that when one has personal support for a particularly country, as in your case, the situation is different. Especially in Islamic Matrimonial. As a sort of guarantee from our team, we promise you to give 50% discount for Gold Membership (after the date when your Platinum Membership expired) but provided you put efforts and will contact ladies, it is almost impossible that you won’t get a serious relationship (or even get married by that time). Again, talking about the recent nikah that was performed in Cape Town last week – they were in contact with each other for only 1 month, after that she flew here (he sent an invitation after 1-1,5 week since their first correspondence). And what is really amazing – she doesn’t know much English, but nowadays anyone can use online translator and even though it doesn’t translate as good as real person, still people can understand each other. What I want to emphasise – most ladies are not fluent in English, but they will learn if the aim and motivation is there (i.e. if they start to correspond with a person whom they are interested in). 5. YOU MENTIONED THAT IT WOULD BE ADVISABLE TO INVITE THE LADY (AS TIME GOES ETC) TO MY COUNTRY. AM I EXPECTED TO PAY FOR THE TICKET? IF YES, IN THAT CASE WOULD ONE BE ABLE TO PAY FOR THE FARE LOCALLY OR WOULD I HAVE TO SEND THE MONEY FOR THE TICKET? KINDLY ADVISE. - It depends on a lady. Usually young girls won’t be able (or won’t risk) to spend this huge amount of money to go so far (as to go to Europe from Russia is very cheap but to South Africa is reasonably expensive). However, ladies after their 30th especially from big cities where they earn well, they can afford such trip to come on visit visa for holiday. In this case they won’t feel that are indebted to you. However, if you are serious and wish to invite somebody on FIANCEE visa, then usually the man has to pay for ticket unless mutually agreed otherwise. Again, it all depends on a particular situation, financial status of a lady etc. etc. So basically, in most cases the answer is YES. You are expected to pay for the ticket. We would recommend that you rather purchase the ticket here (pay for the ticket) and she will pick up that in Russia (in the same air company or same travel agency). Unless you are totally sure that lady is real, don’t send the money. Many scammers ask for money and then disappear. - No. Unlike many marriage agencies which tack on a large additional fee if you succeed, we do NOT charge anything extra. This means you don't even have to inform us of your success (and many clients don't). However, we'd certainly appreciate to receive an email from you about your successful story and would be grateful if you'd recommend us to others. - In order to keep our fees reasonable, we don't get involved in helping our clients with visa or travel arrangements. However, we can recommend some relevant websites. 8. HOW LONG WILL IT TAKE FOR ME TO DEVELOP A SERIOUS CORRESPONDENCE WITH A LADY? 10. I REGISTERED AND UPLOADED PHOTO BUT IT DIDN'T APPEAR IN MY PROFILE. WHY? - We manually check all information in the profiles and all photos. If the photo is indecent or doesn’t meet our moral standards, it is deleted. If the photo is not personal (for example the person on the photo is not alone but with group of people or with somebody else), then usually it get deleted too. For PAID MEMBERS It can be added, but only as an additional photo into member's profile - depend on photo individually. Another reason (can happen but very rare) - the photo might become corrupted and show incorrectly or it wasn't uploaded fully as the size of the photo was too large. In this case please email us your photo to photo@marrymecity.com and our stuff will optimize it and add it to your profile for FREE. Also, sometimes we receive a large number of new photos in one day, which creates a backlog. Therefore approval is done in proper sequence and requires patience from your side. 12. I DIDN'T FIND THE METHOD OF PAYMENT THAT IS CONVENIENT FOR ME. WHAT SHOULD I DO? - Contact us for more details and options. If nothing suits you, then you can even proceed with money transfer via MoneyGram.com etc. 13. FROM WHERE THIS WEBSITE IS BEING OPERATED? - MarryMeCity.com is an international website and we have our stuff in different countries including Russia, Canada, USA and even South Africa. 14. I RECEIVED A MESSAGE BUT IT IS IN RUSSIAN. WHERE CAN I TRANSLATE IT? - On our site's HOMEPAGE under the main search (top, right) there is a link to a FREE Auto Translator online. However, if you are going to correspond with someone and prefer to take personal assistance with the Rus-Eng-Rus translation, then we would advise you to UPGRADE to VIP Platinum Membership. 15. HOW OLD ARE PROFILES ON THIS SITE? - MarryMeCity.com is a fast-growing website and all members in the last pages of 'search results' are the people who are newly registered. For those who don't log in into our site for sometime, we send 3 reminding notes. If after a third note this member won't come back to our site, his/her profile would be deleted. All records (such as when a member last logged in) are recorded and under control. 16. I HEARD AND READ ABOUT SCAM AND SCAMMERS? IS YOUR SITE TRUSTWORTHY? - Our site was created and dedicated to spiritual family-oriented serious people. Thus, we manually check each and every profile before activation. Moreover, the profile goes offline automatically, if after activation a member will do any modification/editing to the information provided in his/her profile. And again, it will be activated ONLY AFTER our team will manually check this profile and approve the new information. The same is in regards with photos - any photo will get 'ACTIVE STATUS' only after manual approval from our side. With regards to scammers - no system and no any website or matrimonial agency can guarantee 100% FREE of scam and scammers. By out staff, utmost effort is made to detect and remove such profiles. Almost everyday we delete few newly-registered scammers. If you come across any suspicious member, please report to us immediately so that we can filter and blacklist him/her. 18. Do I qualify for any discount if I decide to upgrade to the Higher Group or to renew my subscription? - Yes. You will be granted 20% discount. 19. EXPLAIN ABOUT YOUR FEATURE 'QUICK MESSAGES / SEND SALAAM". - There are free short templates that are available for Trial groups and as special BONUS. To send 'Short message/wink/salaam' you need to open member's profile, then select from the right menu 'Send a Wink/Salaam". But if you have upgraded membership, it is STRONGLY recommended to send personalized letter instead of template as some ladies don't respond to short messages. 20. WHY I DON'T SEE MANY MUSLIM WOMAN ONLINE? 1) У меня нет возможности оплатить через PayPal. Как иначе можно приобрести подписку платной группы? - Если вы заходили в раздел Виды Групп (открывается при нажатии на раздел в меню вашей анкеты - "UPGRADE") - там указано, что оплатить можно и через российские службы оплаты онлайн. Сообщите какой вид группы вы хотели бы приобрести (на 1 месяц, 3 или на 1 год?) и мы вам предложим самый оптимальный вариант именно для этой группы. Также можно перечислить деньги через Western Union, MoneyGram и даже почтовым переводом. 2) Часть описания (в графе описать о себе и в графе КРИТЕРИЯ БУДУЩ.СПУТН.ЖИЗНИ) обрезана. Почему? - Иногда, в зависимости от настроек вашего компьютера, скрипт обрезает русские слова (буквы). Заполните снова, русские слова, но латиницей. 3. Хотелось бы спросить. Если я приобрету платную подписку, сможет ли девушка из бесплатной группы прочесть мое письмо и мой телефон и емейл, указанные мною в письме для нее? - После оплаты вы можете оправлять личные сообщения с вашими контактами. Девушки будут видеть полное письмо (нефильтрованное, никакие слова или цифры вырезаны не будут). А когда они будут отвечать платному участнику, она может отвечать включая свои детали тоже.